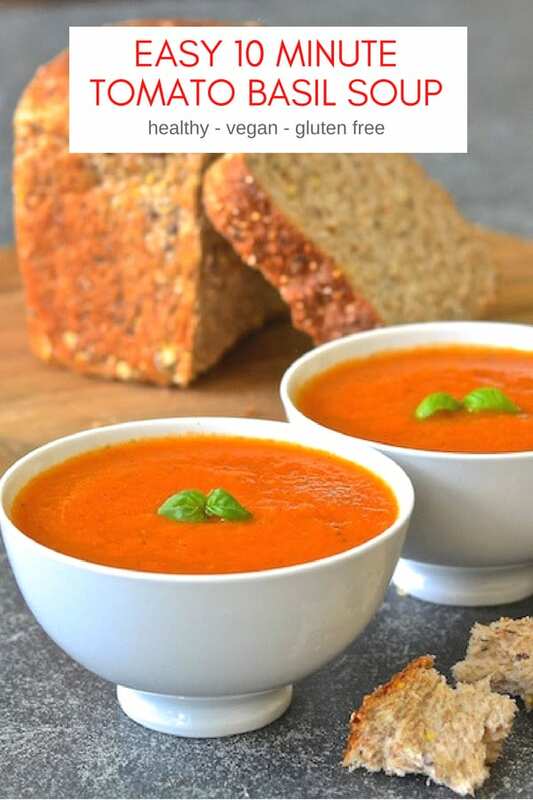 This Easy Tomato Basil Soup is for those times when I am feeling virtuous and when I don’t have much time. It is so incredibly easy to make and takes only about ten minutes from start to finish. I just love easy soup recipes. 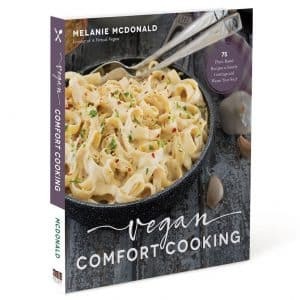 This and my Vegan Pea Soup are my go-to’s when I need dinner or lunch on the table super quick. 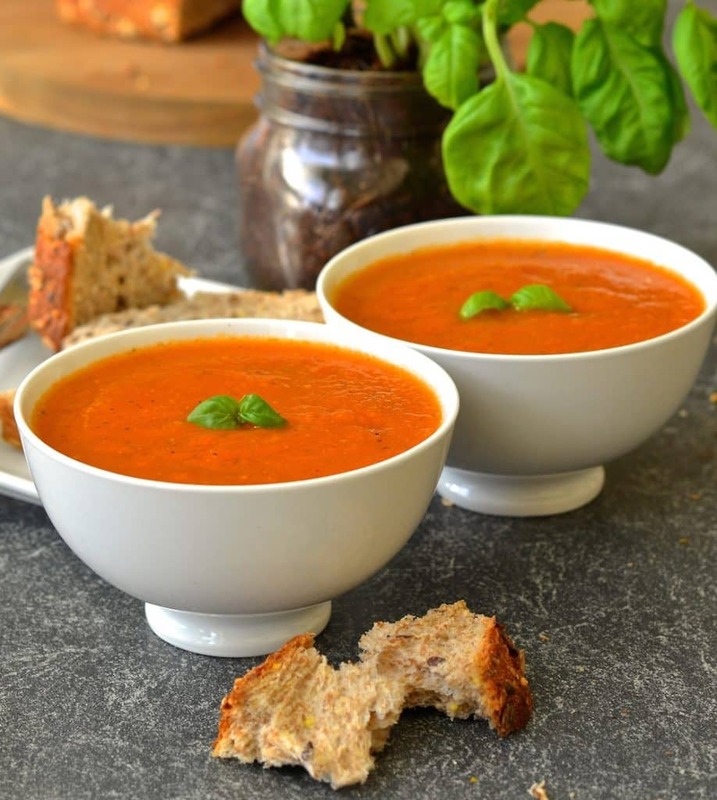 The flavours of this Tomato Basil Soup are fresh, vibrant and untainted. The only ingredients are tomatoes, onion, garlic and basil (plus a little oil and seasoning). It’s so simple! Because it is cooked so quickly the amazing fresh flavour of the tomato is retained and the pungent flavour of the basil is conserved by adding it at the very last moment before serving. Once the tomatoes, onion and garlic are cooked up together in a pan, they are all blended up with the fresh basil then served immediately. You can use a blender or an immersion blender. Either is fine. The higher powered your blender is, the smoother the result. When I took the photos for this recipe I was using a pretty low quality one so it wasn’t perfectly smooth. Now I have a Blendtec it emerges like velvet. There is no need to cook the soup any longer once the basil is added. It keeps the flavours really fresh and delicious if you just blend and serve. The resulting soup is fresh, aromatic and incredibly healthy.The taste of the fresh basil is amazing! No stock, plant-milk or cashew cream is added to this soup. The liquid comes only from the tomatoes which makes the flavour so much better. Because of this, it isn’t a rich, creamy tomato soup. It’s a really vibrant and healthy one. If you want a creamy more indulgent recipe try my Instant Pot Tomato Soup and don’t worry if you don’t have an Instant Pot you can make it on a stove top too. SLIMMING WORLD FRIENDLY TOMATO SOUP! There are only about 280 calories in the entire pan of this soup and it is very low in fat. It can even be made totally fat free by omitting the olive oil and sautéing the onions and garlic in a drop of water instead. If you follow the Slimming World diet plan you will also be pleased to know that this soup is syn free (if you omit the oil). ARE TOMATOES GOOD FOR YOU? Tomatoes are a great source of lycopene which protects us from destructive free radicals which can harm cells and damage DNA. Cooking your tomatoes in a little healthy fat such as olive oil helps carry the lycopene into the bloodstream so that our bodies can benefit from it so I do recommend using a little oil as stated in the recipe if you can. As well as being a good source of lycopene, tomatoes are full of many other vitamins and minerals. They are known to protect against heart disease, prostate cancer and asthma and they also help to ensure our bones, teeth, skin and hair stay healthy. So you get all of those benefits and it’s so incredibly quick and easy to make. There really is no excuse not to eat a healthy meal when you can whip up something like this in such a short space of time. 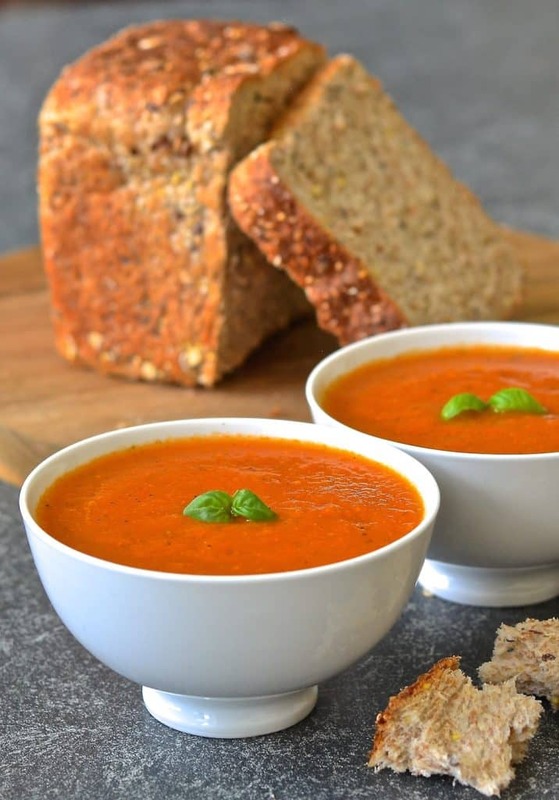 In just 10 minutes and a few simple steps you could be tucking into a bowl of this fresh and delicious Tomato Basil Soup. It’s so quick and easy and can be super cheap to make too when tomatoes are in season, or if you have a greengrocer like mine who always has big packs of them on quick sale. Add the basil and seasoning, transfer to a blender and blend until smooth or blend it right up in the pan with an immersion blender. 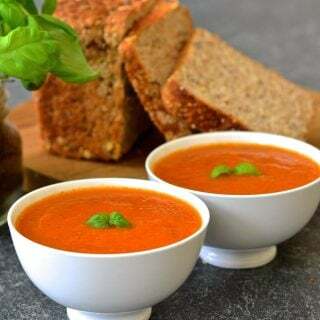 Serve this wonderful Easy Tomato Basil Soup with a drizzle of good olive oil and a sprinkle of cracked black pepper and make sure there is plenty of fresh bread available for dipping. It is wonderful with my Miracle No Knead Focaccia! Don’t be put off by the thought of making your own bread. 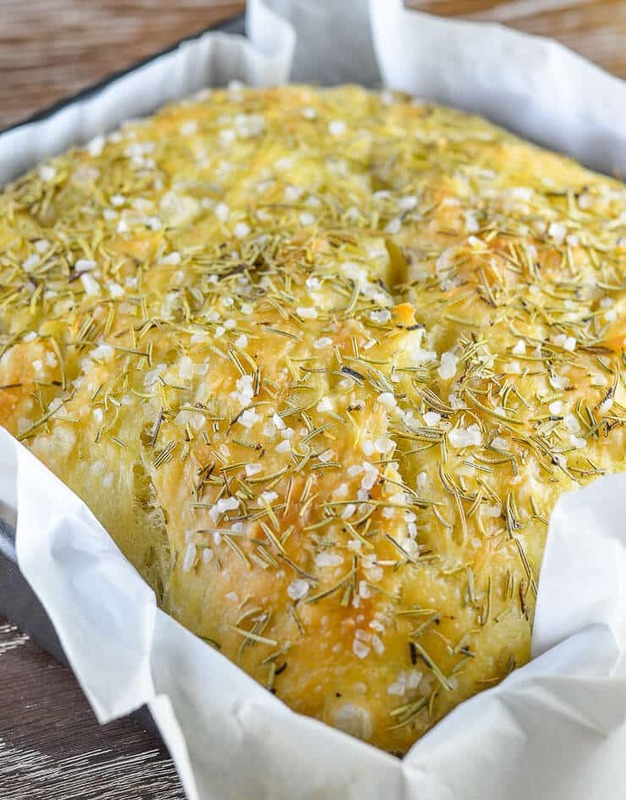 This Focaccia is SO easy. It is a truly no-fail recipe. And just look at what you get for no more effort than stirring a few things up in a bowl for a minute or two. No sweat at all and it is the most perfect accompaniment to your soup!! ???? If you prefer a more traditional bread recipe there is always my Light Whole Wheat Bread, which is the one you can see in the photographs of the soup (except that one has some seeds added as an extra). Tomato Basil Soup is also fab with grilled cheese sandwiches. Comfort food at it’s finest! It’s great in a Thermos for winter packed lunches too! 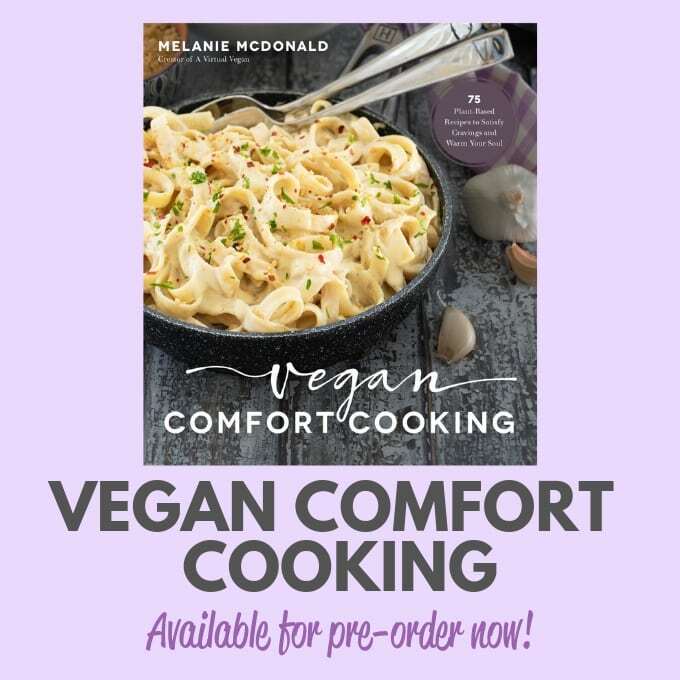 I’ve been busy behind the scenes, working on my first cookbook and it is now available to pre-order! The book will feature 75 recipes, almost all of them brand new and not available anywhere else, with full colour photographs, all taken by yours truly. Each recipe in the book has been tested by my amazing team of 20 recipe testers to ensure that they will work flawlessly in any kitchen. 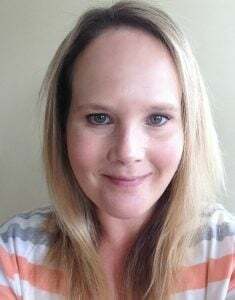 The book will be released on May 28th 2019 and will be available everywhere that sells books. 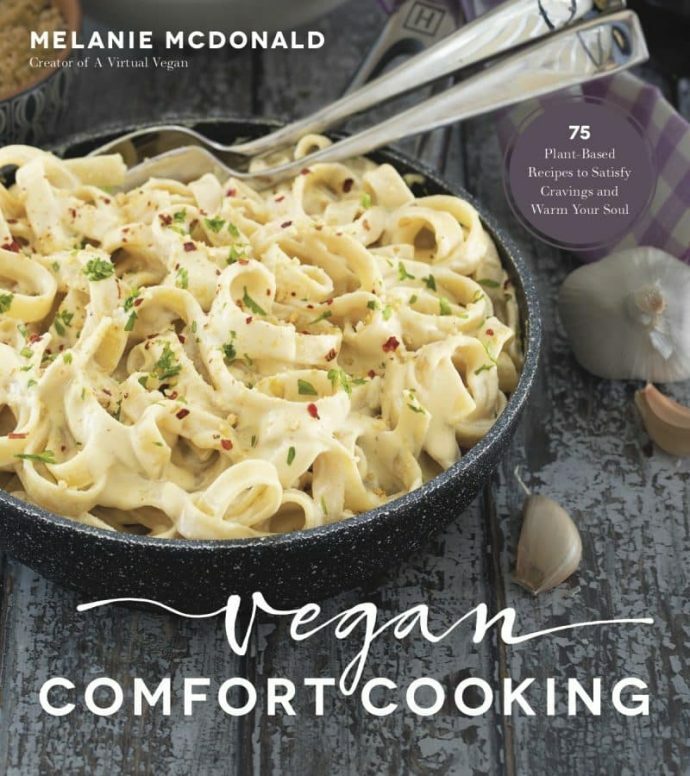 Check out my cookbook page for more information and for pre-order links to a variety of stores.